According The Cable, President Buhari made this assertion while speaking at the Commonwealth Business Forum in Westminster. 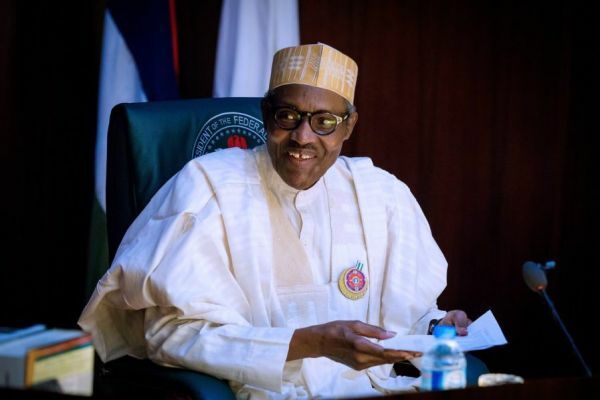 The president said that Nigeria has a very young population, most of whom were uneducated but wanted everything offered them on a silver platter, just because the country is an oil-producing nation. “About the economy, we have a very young population, our population is estimated conservatively to be 180 million. This is a very conservative one. “More than 60 percent of the population is below 30, a lot of them haven’t been to school and they are claiming that Nigeria is an oil producing country, therefore, they should sit and do nothing, and get housing, healthcare, education free,” Buhari said. The president is expected to meet with business leaders and other heads of state as the Commonwealth Heads of Government Meeting progress through the week. Meanwhile, President Buhari hosted the CEO of Shell, Mr Ben van Beurden and a delegation of executives. The Managing Director of NNPC and the Minister of State for Petroleum Resources, Ibe Kachikwu.